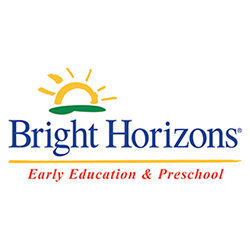 Bright Horizons at Oak Hill is a NAEYC Accredited community-based child care and early education center conveniently located on Davis Lane in Austin. Most of our families come from the Oak Hill and Circle C communities. Our mission is to provide a safe, nurturing and engaging environment where your child can learn and develop to their full potential. Our center recently completed a Renovation Project that included complete center renovations will create fresh, new classrooms and the addition of a Media Room equipped with SmartBoard, tablets and iSmart Start computer stations and a Movement Matters Zone including a rock climbing wall, ballet bars and an array of age-appropriate equipment. Our center offers quality child care and early education through our Infant, Toddler, Preschool, Pre-Kindergarten and Kindergarten programs, including back-up care. In each classroom, our teachers provide a stimulating environment for learning and development. They are dedicated and caring professionals who are trained to focus on the individual care and growth of each child. We pride ourselves on having dedicated, long term teachers in place. We know that choosing an early education center for your child is a difficult decision. We'd love for you to come in and visit us!